Among the European countries on the 2017 political agenda, Ireland figures relatively low. Ostensibly, Ireland may not hold its next general election until 2021. Irish politics have so far avoided the kind of xenophobic, hard-right politics that are roiling larger countries. 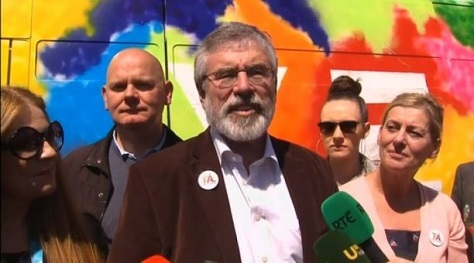 Nor (other than the republican Sinn Féin) has the country succumbed to the kind of hard-left politics that have emerged in much of southern Europe in the aftermath of the eurozone debt crisis. But as Enda Kenny, Ireland’s prime minister (known in Ireland as the Taoiseach) prepares to step down after more than six years in power, the country may have its first openly gay leader within weeks. 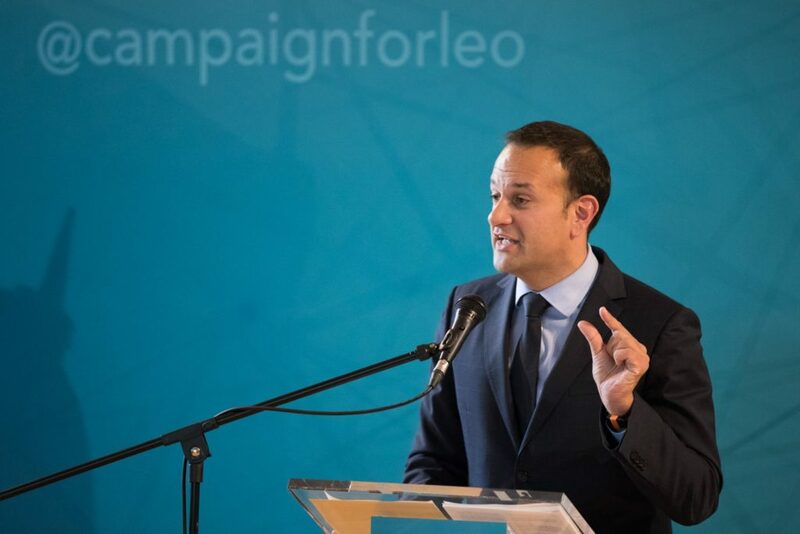 Leo Varadkar, a 38-year-old rising star and the son of an Indian immigrant (and, like his father, a doctor by trade) who represents the pro-market wing of the liberal, center-right Fine Gael, is now the favorite in the party’s first leadership election in 15 years. First elected to the Dáil (the lower house of the Irish parliament) in 2007, Varadkar immediately joined Kenny’s government in 2011 as transport, tourism and sport minister. From 2014 until last May, he served as health minister, and he currently serves as minister for social protection. 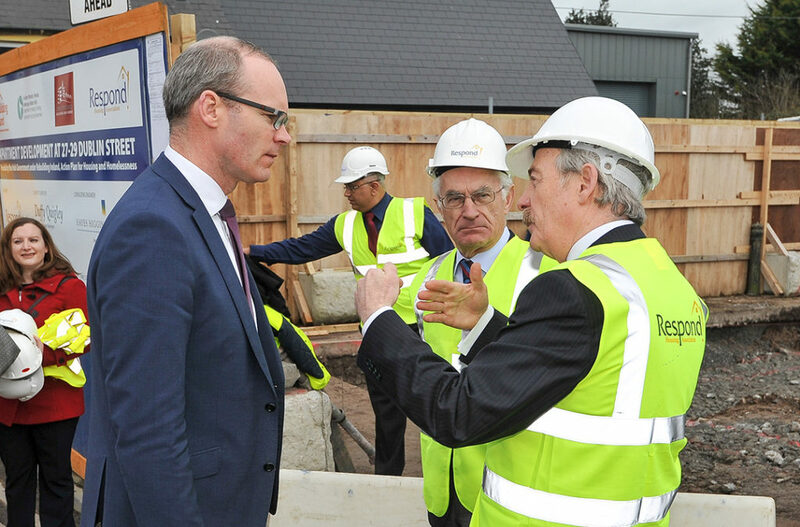 Simon Coveney, Ireland’s housing minister, hopes he can come from behind to win the Fine Gael leadership on the strength of the party faithful. His opponent is the 44-year-old (and openly straight) Simon Coveney, a scion of Irish politics, who got his start in politics at age 26 when, in a 1998, he won a by-election to replace his late father, Hugh Coveney. He has remained a fixture of the Irish parliament (or the European parliament — as an MEP from 2004 to 2007) ever since. Like Varadkar, Coveney has held three ministerial posts in the Kenny era — first as agriculture, food and marine minister, then defence minister, and currently minister for housing, planning, community and local government. Though Coveney is relatively pro-market, he has emphasized the need to combat rising inequality. Varadkar is the flashier choice, a more radical figure with more panache, while Coveney is viewed as somewhat more wooden, though a policy whiz and a more seasoned official. While they will shy away from actively endorsing Coveney, both Kenny and the current finance minister Michael Noonan are likely to support Coveney. If his lead holds, Varadkar would represent a far greater rupture from Kenny for Fine Gael. He has said he would re-christen Fine Gael as the ‘United Ireland’ Party, and he has promised a series of tax cuts, pledging that Fine Gael would be the party for people who ‘get out of bed early in the morning.’ Among his policy positions is a relatively radical step to reduce the ability of public workers to engage in strikes. Imagine yourself as a typical, middle-class voter in Northumberland. Two years ago, you watched as your Scottish brethren to the north held a vote to consider whether to declare independence from the United Kingdom. 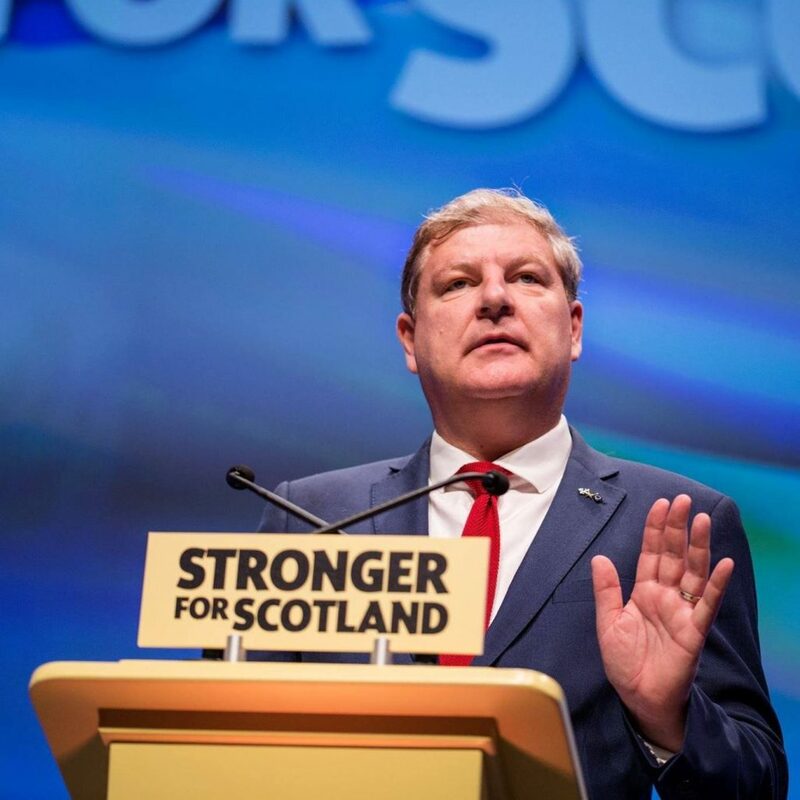 When they narrowly voted against independence, you watched as prime minister David Cameron renewed not only the Conservative, but the Labour and Liberal Democratic promise to enact ‘devolution max‘ for Scotland. 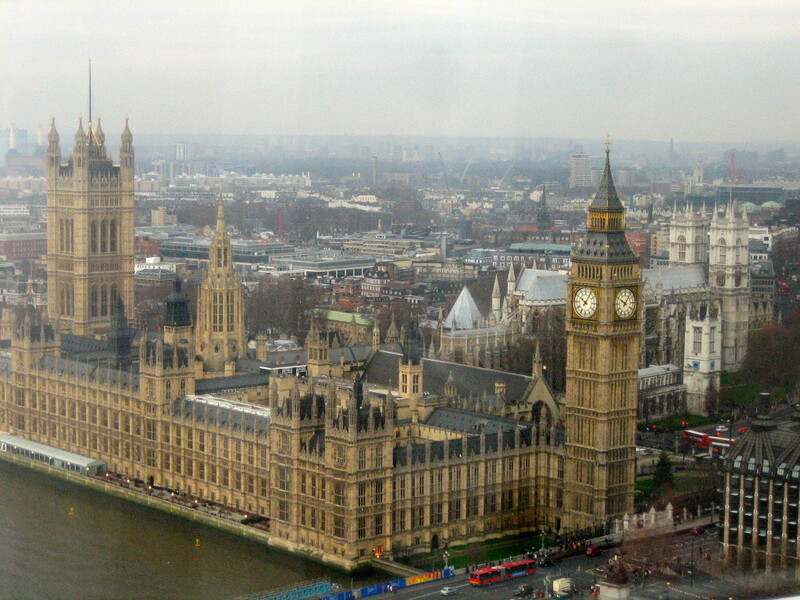 He also declared, within hours of the vote, that he would seek to prevent Scottish, Welsh and Northern Irish MPs from voting on local English matters in Westminster, thereby correcting the long-discussed West Lothian question. 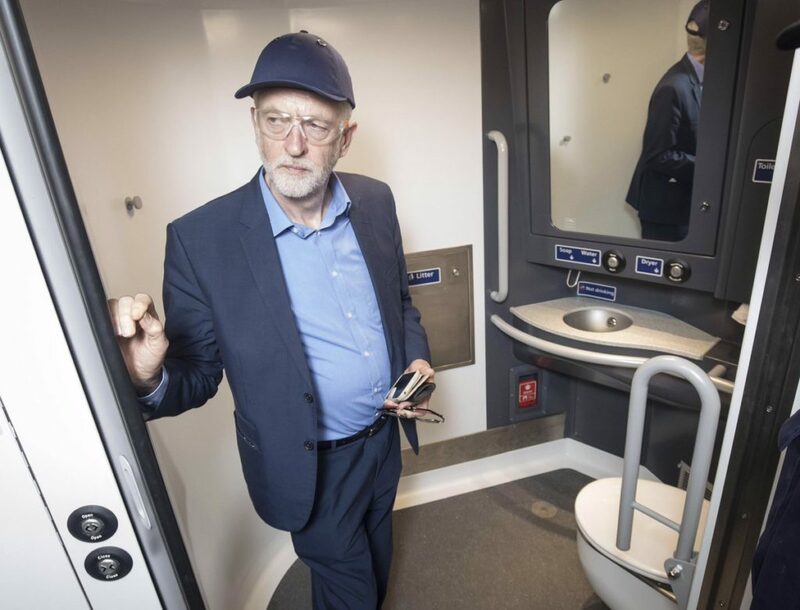 (He managed mostly to annoy Scottish voters, pushing them in even greater numbers to the Scottish National Party and its talented leader, first minister Nicola Sturgeon). 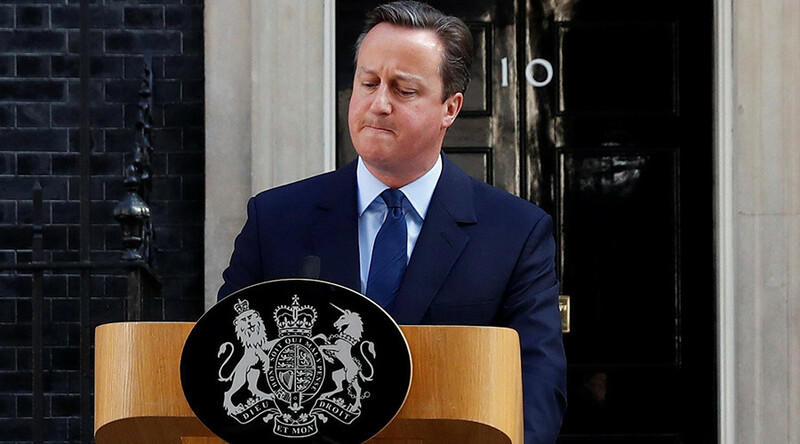 As the independence threat receded, however, Cameron failed to follow up on either the Scottish or the English side of the federalism issues that the referendum brought to the fore. Now imagine that you feel like your fraught middle-class status is threatened — by the global financial crisis of 2008-09 or by the widening scope of inequality or even by the rising tide of immigrants to your community, making it even more difficult to compete for dignified and meaningful work. Maybe you even decided to abandon the Tories or Labour in the 2015 general election, voting instead for the eurosceptic United Kingdom Independence Party (UKIP) as a way to send a message to Westminster about immigration or globalization. But with the first-past-the-post system, 12.7% of the vote for UKIP translated into just one seat among the 650-member House of Commons. Within England alone, UKIP won an even larger share of the vote (14.1%) than it did nationally. Again, you might have felt that your vote counted for little. Or nothing. And so, as another referendum approaches this week on whether the United Kingdom should remain a member of the European Union, you might feel doubly disenfranchised. First, to the nameless bureaucrats in Brussels that you believe dictate too much in the way of the laws and policies that govern England. Secondly, within a national political system whose rules minimize third parties and whose leaders have devolved power to all of the regions except, of course, the region where nearly 84% of the population lives: England. Leaders of the ‘Leave’ campaign make it none too clear that, among their goals is this: Take. Back. Control. Perhaps it’s not coincidental that the parts of the United Kingdom with the greatest amount of regional devolution — London, Scotland, Wales and Northern Ireland — largely support the ‘Remain’ side in the Brexit referendum, according to polls. If ‘Leave’ wins on June 23, there’s a very good chance that it will do so despite the firm opposition of non-English voters. 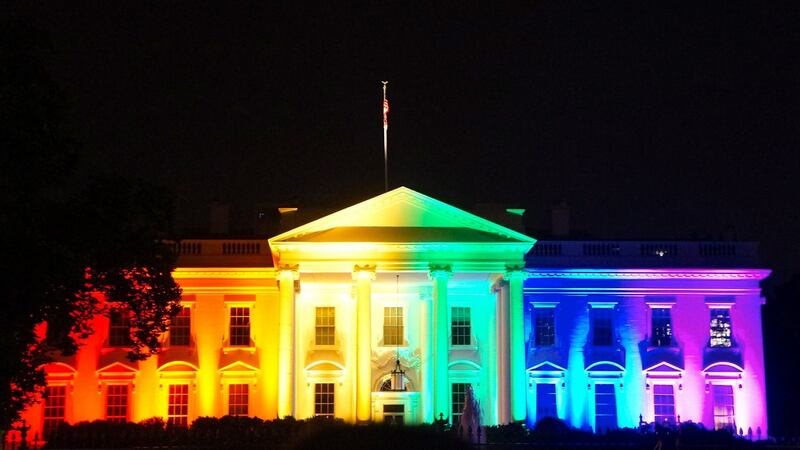 Though I wasn’t able to join The Atlantic‘s conference this week on the future of the LGBT civil rights fight, I took to Twitter earlier today to make that case that the future of the LGBT rights fights is largely international in character. 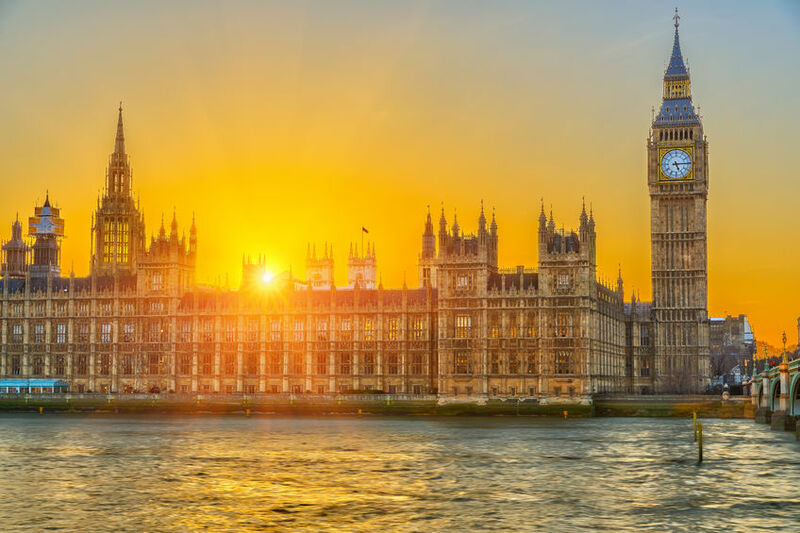 Throughout the night, Suffragio will be live-blogging the results of the United Kingdom’s general election to elect all 650 members of the House of Commons. It hardly seems correct, but BBC’s exit polls have the Conservatives just short of a majority, winning nine additional seats from the current House of Commons. It’s a fabulous drop for Labour, a great night for the Scottish nationalists and a horrific bloodbath for the Liberal Democrats. Nonetheless, if the numbers are correct, it will put the Tories in pole position to form the next government. Ironically, though the Lib Dems are forecast, in this poll, to lose 46 of their 56 seats, they would, together with the Tories, be able to cobble a majority. This assumes that Nick Clegg, the Liberal Democratic leader and deputy prime minister, holds onto his seat in Sheffield Hallam, and will enter into a fresh coalition with the Conservatives. 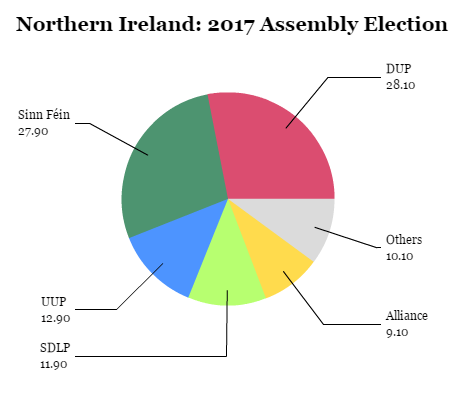 Note that the Northern Irish Democratic Unionist Party (DUP), which currently holds eight seats, could give a new Tory/Lib Dem coalition an extra margin of comfort. Note that if Sinn Féin wins five seats (as in 2010), the Tories need only a 323-seat majority, not 326, because those MPs refuse to sit in Westminster. 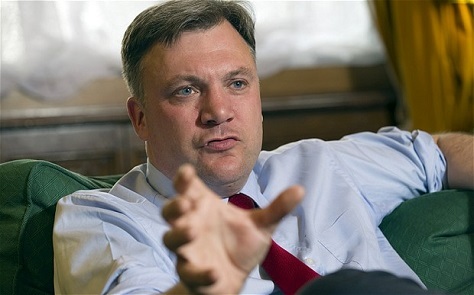 Ed Balls, the shadow chancellor who attacked the Tories relentlessly over austerity, has lost his election. A longtime aide to former prime minister Gordon Brown from 1990 until his election to parliament in 2005, Balls finished third in the 2010 Labour leadership election behind the two Miliband brothers. That he’s lost his Leeds constituency is Labour’s chief ‘Portillo moment’ — the defenestration of one of the party’s potential new leaders. Notwithstanding Balls’s defeat, his wife, shadow home secretary Yvette Cooper, remains a top contender to succeed Ed Miliband. 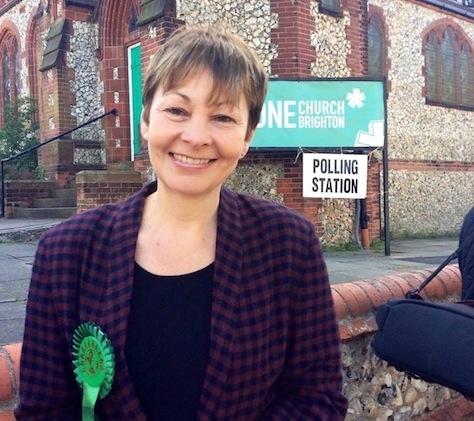 Caroline Lucas easily wins reelection, giving the Greens an important victory. The Green Party is now winning 3.7% of the vote nationally, but it will hold just this seat — Natalie Bennett, the party’s leader, who struggled at times during the campaign, finished third in the Holborn and St Pancras constituency. Nevertheless, it represents a huge leap forward for the Greens — a rise from the 0.9% it won in 2010. I’m ending the live blog now. All three major party leaders are expected to address the public widely tomorrow, and there are still plenty of outstanding seats. We’re still waiting for final results in Rochester & Strood, where UKIP MP Mark Reckless, a Tory convert, was expected to lose. We’re also still waiting for South Thanet’s results, where Nigel Farage, the UKIP leader, has said he’ll resign as UKIP leader if he loses the constituency. In Leeds, we’re still waiting for results from the Morley and Outwood constituency, where Labour’s shadow chancellor Ed Balls is in a tough fight — if he loses, Labour will lose a potential leadership candidate. This was a classic seat — the Liberal Democrats had to win this seat to retain even 30 seats. Instead, it lost it by a wide margin. On Monday, Northern Ireland’s health minister Jim Wells resigned after he made numerous comments that not only disparaged gay and lesbian parents but alleged that LGBT parents were more prone to child abuse. 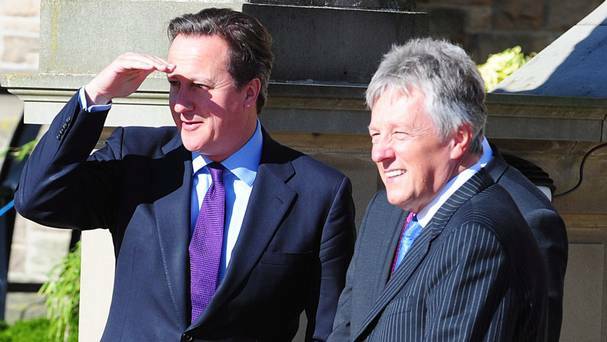 His party, the Democratic Unionist Party (DUP), is the strongest party in Northern Ireland today, and its leader, Peter Robinson, serves as Northern Ireland’s first minister. 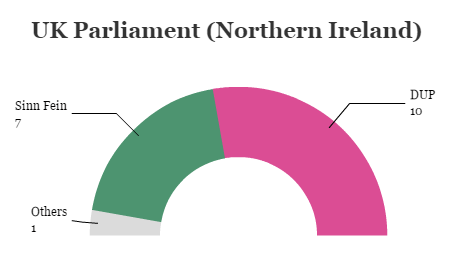 Though Northern Ireland is home to just 2.9% of the United Kingdom’s population, and it’s allocated just 18 seats in the 650-member House of Commons, those seats could make the crucial difference in the race to become prime minister. 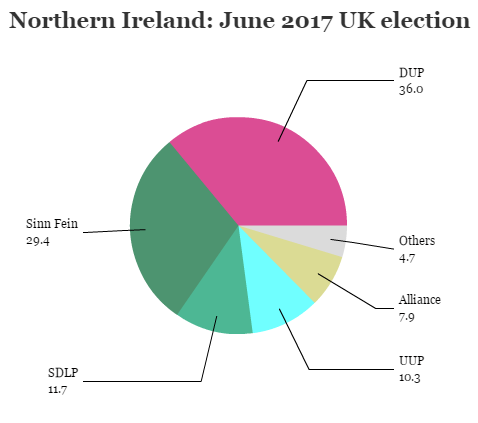 Though the election has been more about Scotland’s role in any post-election coalitions, Northern Ireland could become even more important. 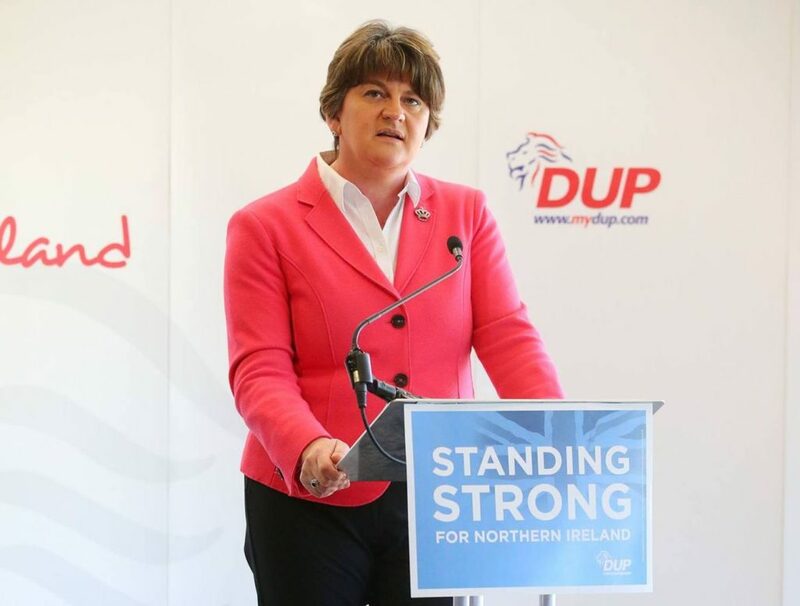 If Robinson’s DUP holds the balance of power, it could thrust one of the most anti-gay, socially conservative parties in Europe into the spotlight with consequences that could shake the still-fragile power-sharing agreement that’s brought peace to Northern Ireland. RELATED: What about gay marriage in Scotland and Northern Ireland? The Scottish National Party (SNP) is projected to win, for the first time, the vast majority of Scotland’s 59 seats, and its leader, Scottish first minister Nicola Sturgeon has said she’ll prop up a center-left government led by Labour’s Ed Miliband and will not support, under any circumstances, any vote of confidence for the incumbent, David Cameron (pictured above with Robinson). Neither the Conservatives nor Labour are projected to win enough seats to form a majority, forcing Cameron and Miliband to seek allies from minor parties. The Liberal Democrats, which have joined the Tories in a governing coalition since 2010, and whose leader, Nick Clegg, says he could support either the Tories or Labour after 2015, are not projected to win enough seats to propel either major party to a majority. 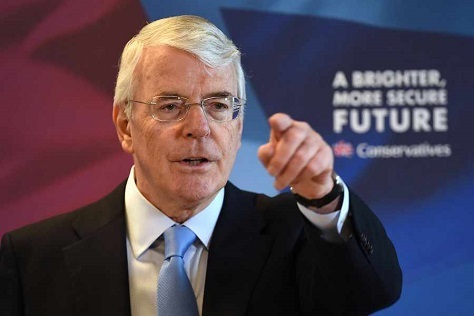 If it was surprising to see former prime minister Tony Blair two weeks ago back in the spotlight of British politics, it was even more surprising Tuesday to see his predecessor, Conservative prime minister John Major, stealing the show with just over two weeks to go until the United Kingdom’s general election. His remarks, a calculated warning about the potential rise of the Scottish National Party (SNP), which is now forecast to win nearly all of Scotland’s 59 seats to the House of Commons, show just how worried the Conservatives are about a potential coalition between the center-left Labour Party and the SNP. 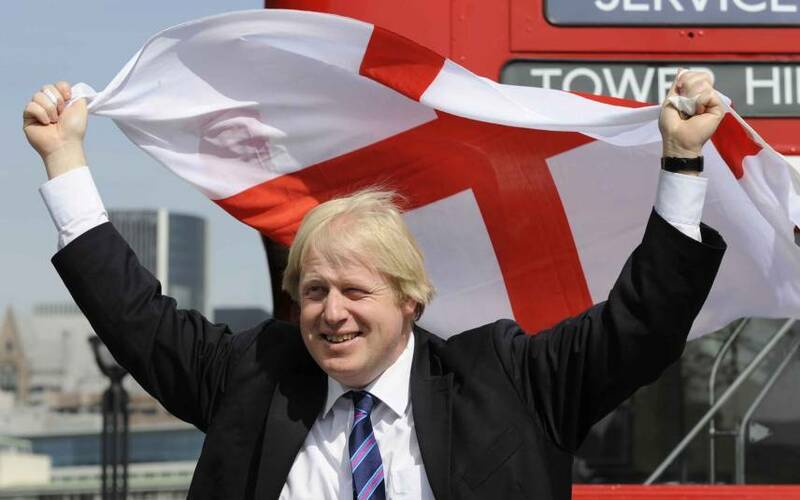 It is to drive a wedge between Scotland and – especially – England. They will manufacture grievance to make it more likely any future Referendum would deliver a majority for independence. They will ask for the impossible and create merry hell if it is denied. The nightmare of a broken United Kingdom has not gone away. The separation debate is not over. 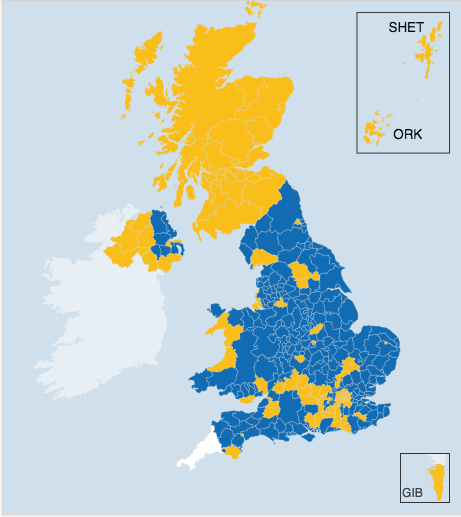 The SNP is determined to prise apart the United Kingdom. 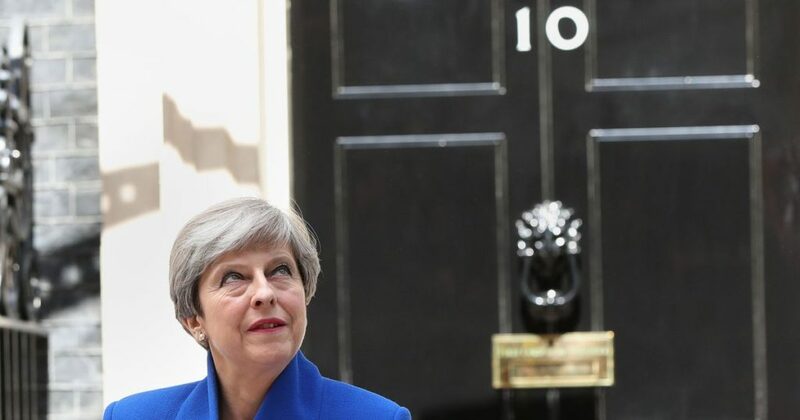 With just two weeks until British voters choose their next government, there’s no sign that either the Conservatives or Labour can win a majority to govern alone. Even with the support of the Liberal Democrats, neither party is projected to win the 326 seats they will need to form a majority. With Sturgeon’s surging SNP set to win nearly all of the 59 seats in Scotland, that’s made her the potential kingmaker for the next British government. Photo credit to Getty Images. 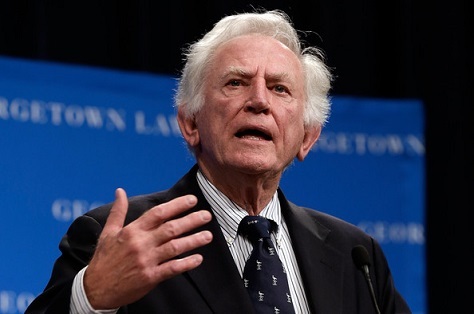 US secretary of state John Kerry appointed former Colorado senator and one-time presidential candidate Gary Hart as the latest US envoy to Northern Ireland’s five-party peace talks earlier today. Fresh negotiations involving the five parties in the power-sharing mandatory coalition convened by the UK Government commenced last Thursday and are due to resume tomorrow. 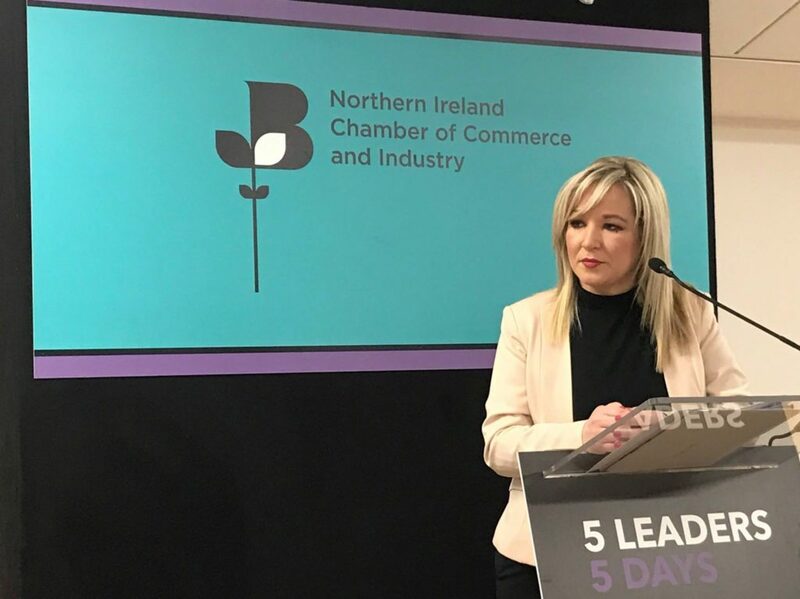 As well as the long-unresolved peace process disputes on flags, parades and the legacy of the past, over the coming weeks politicians will also attempt to reach consensus on rows over the implementation of welfare reforms in the region and on the very structures of the devolved Assembly. Northern Ireland is thriving today, amid a growing economy in the long-troubled capital of Belfast. Peace has brought with it a rising standard of living. But, as was on full display upon the death of former Northern Irish first minister Ian Paisley last month, long-simmering tensions still exist. It’s possible, though far from probable, that the kind of widescale violence of the ‘Troubles’ will return to Northern Ireland anytime soon. It’s great to see Hart — at long last — providing useful service to his country. 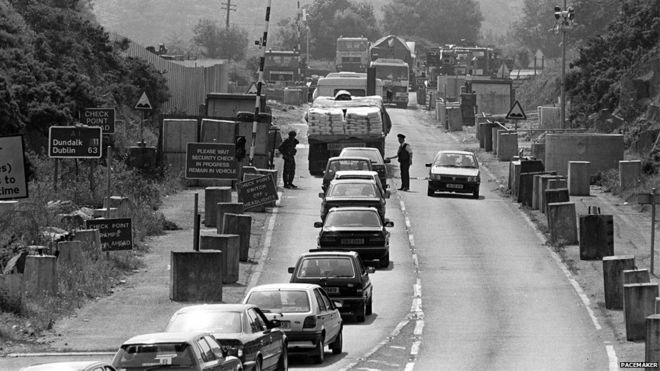 But US envoys to Northern Ireland today are all destined to be cast as relief pitchers in comparison to Mitchell’s role in shepherding the historic 1998 accords. Ian Paisley was a small man, and he led a small movement that forestalled peace in Northern Ireland for decades, withholding from Protestant and Catholic families alike the economic and social progress that accrued to virtually the rest of western Europe, and inflaming sectarian tribalism that still haunts Northern Ireland’s cultural fabric in the 21st century. Upon his death today at age 88, he’ll be feted as a statesman in too-long-to-read eulogies prepared long ago in The Guardian and The New York Times. Those eulogies will note that Paisley, at age 81, finally agreed to a power-sharing agreement with Irish Republicans, making him Northern Ireland’s first minister from 2007 until his retirement in 2008. 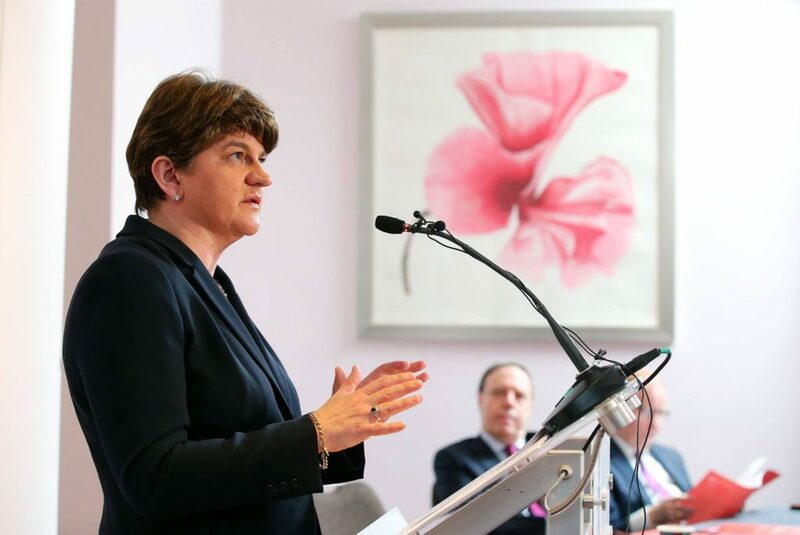 It was a decade after he opposed the 1998 Good Friday Agreement that generally ended active fighting between Northern Ireland’s Protestant loyalists and Catholic republicans. 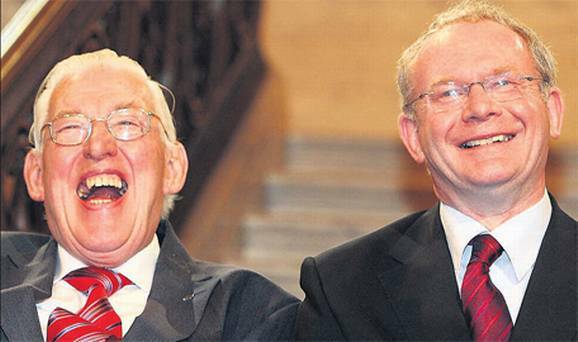 Those eulogies will show pictures of Paisley smiling and laughing with his nemesis, Martin McGuinness, the Northern Irish leader of Sinn Féin who continues to serve as Northern Ireland’s deputy first minister in a power-sharing coalition with Paisley’s successor, Peter Robinson. They were nicknamed the ‘Chuckle Brothers,’ though it’s hard to find too much to laugh about in the deaths of over 3,500 people during three decades of fighting that tore apart families and stunted the growth of a country all in the name of religious nationalism. Paisley’s critics argue that his 11th hour conversion to power-sharing was a cynical maneuver — with the knowledge that reverting to the violent era of the Troubles was impossible, Paisley moved to cement his Democratic Unionist Party (DUP) as the natural party of Protestant governance in Northern Ireland, displacing the more moderate Ulster Unionist Party (UUP) and David Trimble, who won the Nobel Peace Prize for his efforts to enact the Good Friday Agreement. 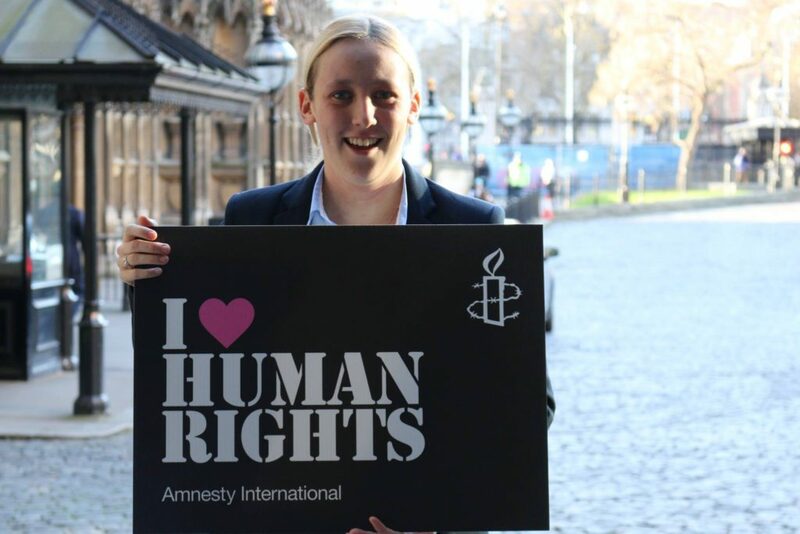 Cynical or not, Paisley’s late-in-life conversion is a fact, and it won’t be the first time that politicians have taken self-serving actions. In exchange for the power-sharing agreement, Paisley will be remembered today as a statesman with a peerage, not a garden-variety terrorist. That’s just politics, and Paisley made the smart move. He saw, a decade after Good Friday, that the train was well out of the station, and he jumped on at the last minute. And so much the better for Northern Ireland that he did.